Cyber attacks today are a process. 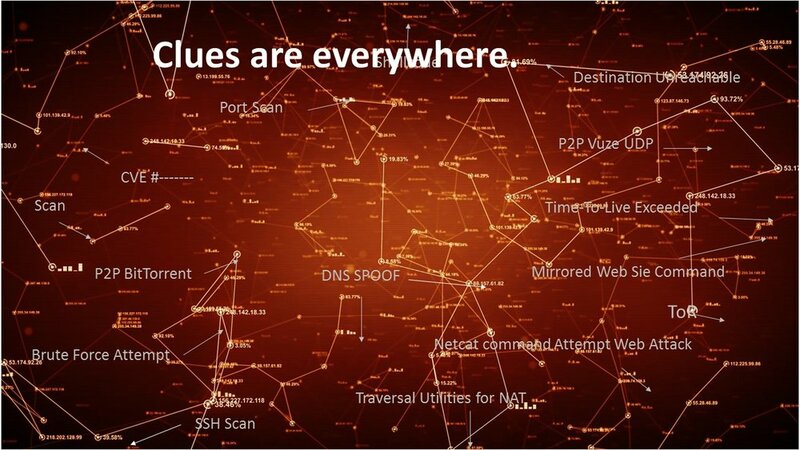 And effectively and accurately identifying both the known and the unknown threats is not something everyone can do. 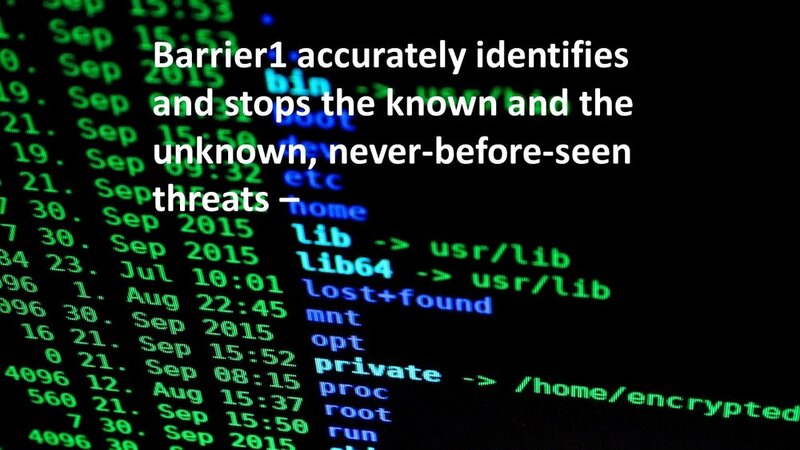 Barrier1, with its patented anomalous base detection and reaction engine does, in real-time and with such accuracy that false positives are virtually an unknown. The on-board Advanced Analytic Reaction Engine® (AARE) that drives the multi-layered algorithms, has demonstrated results that far exceed any other approach in the market today. It is why Barrier1 wins the national awards, like SC Magazine's Innovation Hall of Fame, three years in a row. And why the NFL invited Barrier1 to be part of their Cyber Security Team for Super Bowl 50. 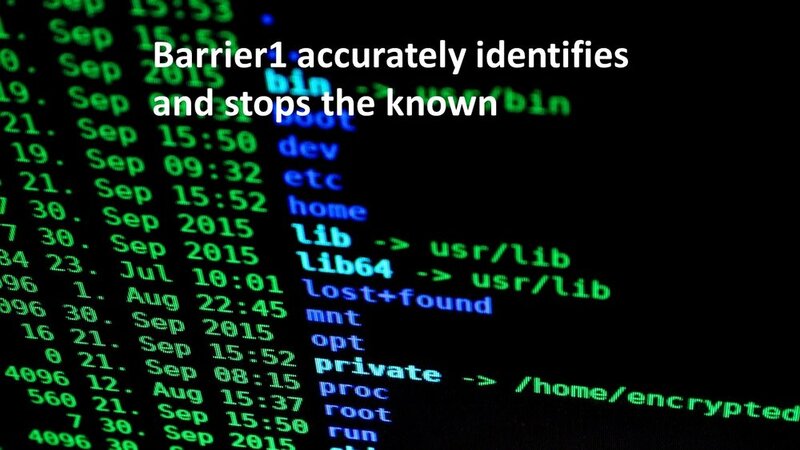 Find out how Barrier1 can help you get clarity through accuracy while protecting your network...all in real-time.